Stagecoach’s gas bus network in Lincoln has come to the end of the road. Operated by Stagecoach East Midlands, the bio-methane project was launched in May 2011, but has now reached a “natural conclusion.” Two buses have already been taken out of service. Stagecoach says the project has been technically successful and proved itself as a test bed for gas bus operation providing valuable engineering and operational data. However, without further “significant investment” the operation is not economically viable. Using 11 converted Optare Solo buses, with a peak vehicle requirement of nine, the Lincoln project saw the buses on city routes 4, 5, 7 and 8. The failure to secure funding for a permanent gas station at the company’s Great Northern Terrace depot, Lincoln, is cited as the reason for the end of the project. Without a permanent gas refuelling facility, with bio-methane delivered by pipeline, the fuel has continued to be delivered by road on adapted trailers. This was initially a temporary solution, but without funding towards permanent depot infrastructure, it means the project has become uneconomic. 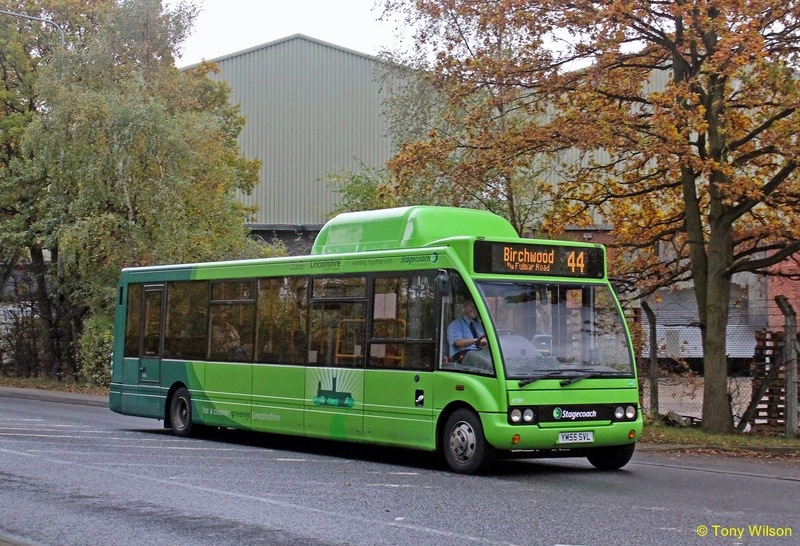 Diesel-powered Optare Solos will now be cascaded into Lincoln from other Stagecoach companies to allow all 11 bio-methane buses to be taken out of service. Stagecoach says the displaced Solos will be put up for sale, rather than being converted back to diesel power. The Lincoln project was launched with £260,000 funding in May 2011 with contributions from Lincolnshire County Council, East Midlands Development Agency and Stagecoach. There was a further £100,000 grant for depot works. When launched the buses were dual-fuel, starting on diesel and then switching to bio-methane operation. At the time it was said bio-methane would cut emissions by 40%. During late 2013, with £231,000 from the Government’s Cleaner Bus Technology Fund, the 11 Solos were converted to full bio-methane, but there were some technical issues with engine performance which saw the buses sidelined for several months. They were eventually put back into service late last summer.